IBIS estimates that there are more than 500,000 businesses operating within the $82-billion-per-year landscape services industry. And while starting a landscaping business requires very little upfront capital, owners are likely to face intense competition as consumers looking for landscaping services have many options available and there’s often very little differentiation between businesses. One such way is with landscaping logos. While amazing customer service, an engaging website, and five-star online reviews are all great ways to help separate your business, the most important way to differentiate yourself from the competition is by establishing brand loyalty and recognition. Outside of a strong brand name, landscaping logos are the next most important element of building brand identity. A strong landscaping logo can separate you from other landscaping companies and increase your brand recognition. As competition increases, developing a brand identity becomes more important. In fact, 59 percent of consumers prefer brands that they recognize over brands they’ve never seen before. In other words, by creating a memorable and recognizable logo, you can stand out and increase your bottom line. Because most landscapers are not designers, here are a few key considerations to help you when designing your amazing landscaping logo, and a few more tips to consider below. Ready to elevate your landscaping brand? Keep reading for more in-depth insights. Maybe your landscaping business specializes in irrigation, or maybe your highest margin service is delivering and installing trees. Whatever the case, try incorporating a symbol of one of the services in your logo to further communicate your brand’s core competency. For instance, if you want to highlight lawn care, include a lawn mower in the design. Your logo can be more than just a symbol of your brand name; it can be a messaging tool that helps set consumer expectations. Besides your core competency or featured service, what else makes your business unique? Think about the aspects of your business operations that set you apart from your competition. 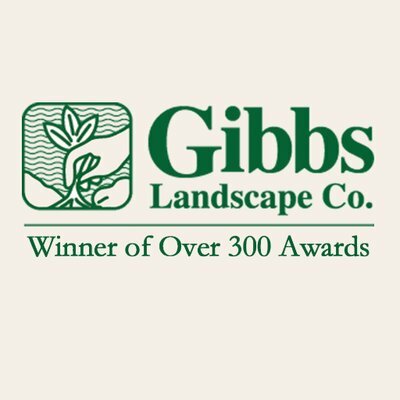 A great example of a landscaping company that incorporates their unique selling proposition into their logo is Gibbs Landscape in Smyrna, Ga. They are the proud winners of 300 awards and feature that prominently in their logo. Maybe your landscaping company isn’t award-winning, but think about what you use to close a deal with clients and see if it’s something you can incorporate as a tagline in your logo. For instance, if you’re family owned and operated for more than 30 years, your logo is a good place to highlight that unique selling point. A word to the wise: Be mindful of the length of your tagline if you decide to incorporate one. Your logo will be placed on several different assets and used across multiple mediums. If it’s resized too small, will that make your tagline illegible? This is something you need to consider when you start designing your landscaping logo. Picking colors is one of the most important decisions you’ll make when designing your landscaping logo. Studies have shown that color can increase brand recognition by at least 80 percent. Because your logo represents your brand’s identity, your colors need to match your brand’s color palette. These are the same colors that should be featured on your social media channels, website, and other marketing assets. Cohesiveness between your logo and across all communication platforms is essential in developing a brand identity. Your brand’s colors need to be more than just arbitrary hex numbers; study the psychology behind colors and select a palette that aligns most with the reactions you want to elicit from customers. For instance, the color green (which is often the choice for landscaping logos) conveys a feeling of peace, growth and healing. But, because so many landscaping companies use green in their logo, you might want to go a different route to help stand out. Try being bold and use red; it causes excitement and is scientifically proven to raise pulse rates. If you want customers to feel trust or dependability in your business, blue might be a better choice. Whatever feeling you want to evoke in your customers, there is a color that can help perpetuate that emotion. You’ll also want to be careful with how you use color in your logo, and the number of different colors you choose. In fact, color statistics indicate that 95 percent of the top brands only use one or two colors in their logos. Take advantage of the marketing dollars these large corporations spent on their logo design by following their footsteps and consider using one dominant color in your landscaping logo. Smart business owners understand that their time is best used focusing on the core areas of their business operations. For landscapers, this isn’t designing a logo, it’s networking with other businesses, managing employees, and using your talents to keep customers happy and referring your services. Rather than trying to learn how to design a logo yourself or buying a generic logo template that is being used by hundreds of other landscapers, it might be a good idea to hire a professional to design your landscaping logo. GoDaddy offers a turnkey logo creation service, and in just three easy steps, you can have a custom, professional logo created specifically for your landscaping business. Provide some basic information, pick the style you want, and a vetted designer will work their magic to deliver you the perfect logo in three to five business days. Don’t waste another day on generic and boring landscaping logos. Invest the necessary resources to a logo that communicates your value, highlights your uniqueness, and increases your brand’s identity and recognition.